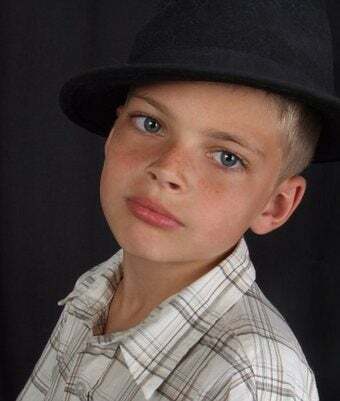 Once-Hopeful Pageant Boy Now "Hates His Life"
"Max gets a lot of confidence from these shows," says Jayne Harris of her 10-year-old son who competes in pageants. But Max fell on a concrete path, smashing his front teeth and knocking his jaw out of place. According to the Daily Mail, Max needed emergency medical dentistry and had to have his jaw wired. His mom let him decide if he'd participate in the Prince Charming pageant that was coming up, and when he did, some other kid won. So what kind of lesson did Max — whose hair is highlighted, who wears aftershave when he competes — learn? It's hardly surprising, given that his mother has taught him that looks are everything.